As our industry has evolved from manual machinery, to CNC machining processes and material handling, employee safety has increased. Dangers associated with manual table saws, routers, and shapers have been virtually eliminated in many plants, which has made working conditions safer for employees. However, advanced CNC equipment does not eliminate all safety concerns with regards to tooling. A specific area of concern is the use of larger diameter saw blades on 5 axis CNC routers. Continued market growth in 5 axis CNC sales has increased the regularity of larger diameter saw blades being used in a variety of cutting applications. Saw blades mounted on 5 axis spindles can increase flexibly and machining capabilities dramatically; however, it is critical that the holding system is sufficient to ensure safe machine operation. Image 1 – illustrates an extremely POOR holding system that is NOT recommended. It shows an example of a 12-inch saw blade mounted on ¾ shank, which will be inserted into a ER collet system for spindle connection. 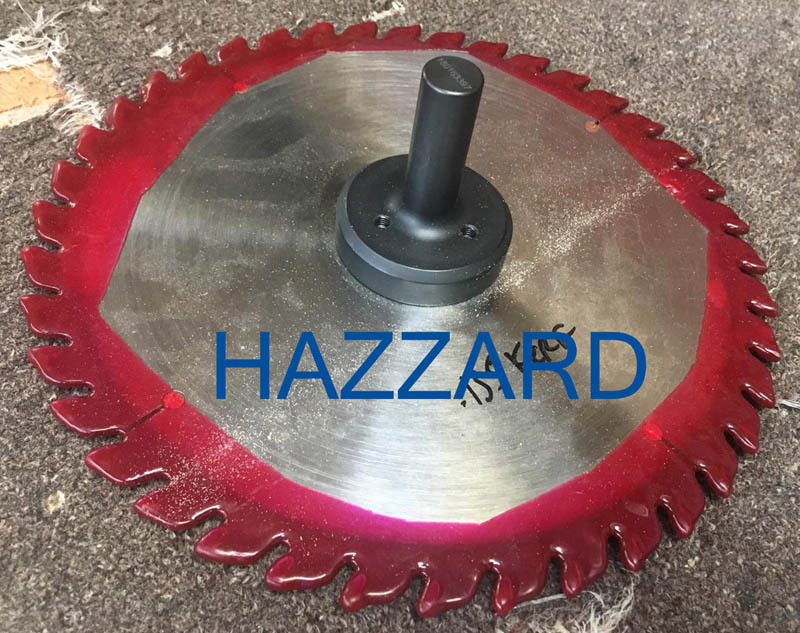 This method of holding a saw blade is not only inaccurate and hard on the machine spindle, it is an extremely unsafe way to attach to the machine spindle. A spring collet system does NOT have sufficient clamping force to hold large diameter tools on a consistent basis. The side loading pressure created by a saw blade will inevitably create deflection in the collet, particularity when cutting thicker material. Even larger router tools can slip outward in the collet if excessive force is placed on the tool and holding device. Shank movement of an assembly shown in Image # 1 will definitely create a severe safety hazard. Image 2 – shows a new ‘integrated holder design,’ which connects directly to the HSK machine spindle without any point of connection. This design ensures maximum rigidity and balance to optimize blade performance. More importantly, it serves as the absolute safest method of holding saw blades on a 5 axis CNC router. Blades can be fixed to the holder with countersink screws for flush cutting, or clamped safely with a steel end cap to increase clamping force. The critical design advantage is the solid steel connection from saw blade to HSK CNC spindle. Traditionally, saw blades are designed and balanced to run at 3,000 to 5,000 RPM on standard saw equipment. More advanced saw machinery designs are utilizing higher RPMs to improve cut quality by running up to 10,000 RPM. Relative feed rates can be increased at higher RPM, which does exaggerate any inaccuracy in tool holing systems. Since CNC routers have a wide range of RPM and feed rate options, it is critical that programmers and machine operators are conscious of recommended RPM and feed rates. 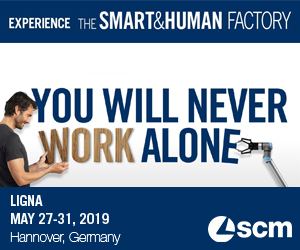 I do hesitate to recommend machine parameters without knowing the application and machinery in detail, but there is an abundance of valuable information which can be acquired online or from your tooling supplier. In general terms, saw blade RPM is based on the diameter blade, and feed rates are recommended based on chip loads and depth of cut. As we enter a new year of manufacturing and innovating new products, it is imperative that we assess the safety of all processes and strive to implement the most safety conscious systems available. 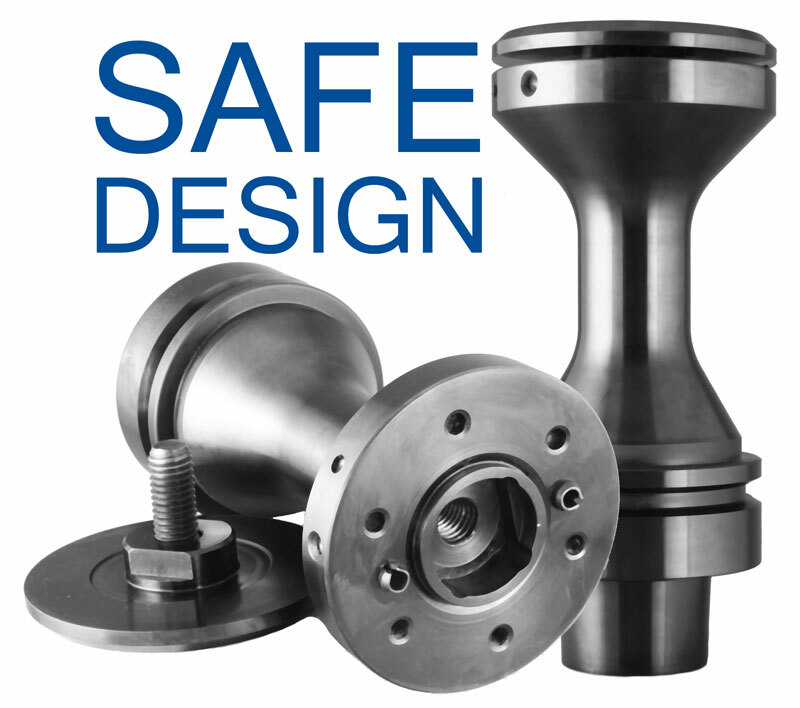 Cutting applications can be extremely dangerous, even with new advancements in CNC technology. Simple products such as tool holders can optimize machine performance and ensure machine operators and all staff are protected.